Demonstrating skills such as engaging and working collaboratively with communities within and outside an individual's profession, in both an international and domestic context, is a skill sought after by a range of employers. 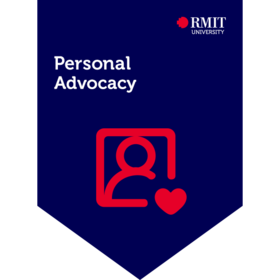 Being well prepared in personal advocacy is a fundamental skill seen by employers to improve one's productivity and make a positive contribution in the workplace. Employ and adapt professional expertise in different environments. Analysed placement options and chosen a suitable placement. Secured a work-based internship placement in a professional situation (different from the student's own country or onshore in Australia in an international or cross-cultural context).